Grass Muzzles for pasture horses - that’s crazy! They have been a popular item for several years. I still see them at almost every equine event I attend. Truthfully, I almost laughed the very first time I saw one years ago. Then I thought to myself “that is a great idea”, many horse owners today really need them. But why? For instance, as I am sure you know, most horses will chew on tree bark. Of course it is bad for the trees - totally inconsequential in the wilderness, but in the back yard pasture, chewed dead trees look awful! Simple sugars called polysaccharides and amino acids like methionine and perhaps tannins are probably what they a re after by eating the trees. Regardless, if methionine is supplemented most horses have better hooves. Supplementing simple polysaccharide sugars (not refined complex table sugar or syrup) will often help the gut (sometimes stop cribbing and help ulcers, too) - the gut being the source of almost all problems in a horse. One such simple sugar in particular is Arabinogalactan, obtained from the Western Larch tree. Another is Mannose - from the Aloe plant. The Native American Indians and “grandmas” everywhere have used these substances for centuries. In other parts of the world they may have used Noni fruit or Pomegranate or whatever was native to the area - and if the horses that were there had access to them, be assured they ate the bark, fruit (or whatever) too! This is one of the reasons supplements are so important today- horses just can’t get all they need from the typical diets wegive them, and the one or two species of grass they graze just doesn’t provide all they may need. 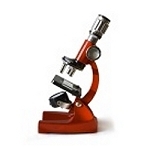 There are most likely many ingredients or micronutrients that we have not yet discovered. I believe we will someday classify polysaccharides as “ESSENTIAL” polysaccharides, just like there are essential amino acids, and essential fatty acids now. 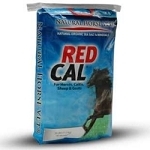 The need for the essential fatty acids like Omega 3, 6 and 9 are beginning to be more recognized by horse owners today. IN the wild, horses can pick and choose seeds and grass heads from various grasses and plants to get the fatty acids they need- in our care they take what we give them - unfortunately, until recently they have received very little. For the most part, they just receive sugars (like from corn and molasses), which, as we know, turns to fat but are not essential fatty acids. Today high fat is “in” but again we must be careful. The easy thing to do is buy cheap fat like REFINED or partially hydrogenated oils (corn oil for instance). The problem with any refined oil is that all the “goody” is filtered out and sold for other purposes. Hydrogenated oils are more stable and less likely to spoils or go rancid, which is why they are used in almost every snack food, but they actually harden and damage cells within the body ad make tissue less pliable. This can actually make a situation like insulin resistance or metabolic disease (which are often the clinical problems that trigger the need for fats to be supplemented in the first place) to be even more of a problem. “Hardened” cells don’t respond to insulin and other “metabolic reactions” like more pliable cells would. Over time “hydrogenation” causes premature aging because more and more insulin must be produced and the body’s cells become more and more damaged. One of the main purposes of insulin is to regulate sugar. The grain we feed our horses (corn, especially, and molasses) and the “richer”, single variety grasses in our pastures (and snack foods for us) also cause more and more insulin to be secreted. With time, this causes “insulin resistance” - requiring more and more insulin to get the job done. The higher the resting insulin overall, the quicker all species age and subsequently die - period! High resting insulin is rarely detected because usually just blood glucose is checked. Simply relying on blood glucose (sugar) levels alone is not enough - sugar or blood glucose can be normal but resting insulin levels can be extremely elevated- even high enough to kill you or your horse. Many horses (and people) are insulin resistant with high resting levels of insulin, but because the body is such a miraculous machine it is still keeping the sugar normal. Most fat and overweight “easy keepers” are insulin resistant. Certainly hypothyroid, Cushings, and chronic recurring laminitis or foundered horses fit this category as well. Lush green grass or stress (as in people) is often associated with, and generally what get blamed for acute occurrences - but the underlying metabolic situation is usually at cause. Horses need good fats, not sugars! By now it should be clear that except in a free wild range situation with thousands of acres, it is impossible to have a perfect pasture today - but there is a “next to perfect” answer to the perfect pasture question! A perfect pasture is one that has a bucket (free choice access) of natural salt and naturally sourced minerals hanging in it - AT ALL TIMES. And I stress NATURAL source here and at ALL times. Even white salt and most minerals are chemical, often other industry’s leftovers, full of heavy metals (lead, cadmium, arsenic, aluminum, mercury). And salt blocks are just simply useless because horses are not lickers - they can not get all of what they need from blocks -period! They just can’t lick fast enough. Once again - in the wild, horses have access to all types of salt and minerals where they can pick and choose and balance themselves as needed. Today we fortify the feeds with various minerals and fortify our pastures with fertilizer. The problem here is that we may actually be causing an imbalance of nutrition. Mineral supplements, though well intentioned, may give them too much of what they don’t need. 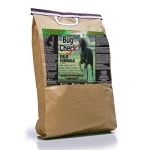 Hoof supplements are especially bad for this - massive amounts often, chosen by man and based on an RDA (recommended daily allowance standard) that is 15 years old or more. Natural minerals and salt like colloidal minerals and sea salt (often from desert sources that used to be the ocean millions of years ago) contain other micronutrients as well, and are balanced by mother nature, not by man. The confusing issue here is that if you compare mineral amounts to man-made products, natural sources often look like they contain very low levels. But what they do contain is so much more usable or bio-available that it packs a much greater, yet balanced punch! They literally contain every nutrient and mineral that was once in the “living oceans”. Often with manmade our horses over-consume what they don’t need while trying to get what they do need. AND what they really need may not even be in the mix because man is not aware of it - Natural is better! 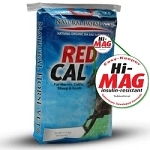 Pasture horses must have access to loose salt and minerals at all times. If they don’t, they can colic, founder, abort and die almost without warning. It all comes back to the health of the horses’ gut. Any sudden change, as we well know, can be disastrous. Obvious concerns are getting too much grain or sudden exposure to lush green grass - but a weather change without free access to loose salt and minerals can be just as deadly to a pasture horse. Grass is a living, breathing organism (it just breathes carbon dioxide rather than oxygen) and it changes hour to hour. If the grass “thinks” it is going to die or has less chance of survival, it conserves and prepares - just like we would. Conservation of water would be a likely action. Grass does this by actually drawing potassium up from the ground, and if the soil is heavily fertilized, it can draw a lot, because a major part of fertilizer is potassium. Potassium allows the plant to attract more water. This is good for farmers who sell hay and crops by the pound but bad for the actual nutritional value because the grass, crop or whatever, is mostly just water. Devastation can occur if horses, cattle or other creatures are exposed to too much potassium at one time. If you are a cattleman, I am sure your are familiar with Grass Tetany and Milk Fever, and the sudden death associated with its occurrence. These were once thought to be magnesium and calcium deficiencies. We now know it is from high potassium forages and grasses. Similar situations causing abortions and gut problems often occur in horses. What happens is that the potassium spikes during cool, we conditions and especially after long droughts followed by rainfall and rapid growth. Situations like frost and freezing are especially bad - have you ever had horse colic after a frost? Probably so- --the reason is a sudden mineral change in the grass, not just frozen grass! During these times sodium, calcium and magnesium decrease, while potassium increases. This spike in potassium is often deadly. A major problem like this occurred in 2001 in the Midwest where reproductive losses occurred in thousands of horses, cattle, sheep and goats. This was severe in Kentucky as well. Often cattle were found dead just a few hours after frost and freezes. Mineral blocks just cannot provide the minerals fast enough for such rapid changes in weather. Free-choice, loose salt and minerals must be available to pasture horses at all times if such problems are to be prevented! It is also important to consider that since sodium (the Na part of NaCl, or salt) is so similar to potassium, horses often think they have enough sodium (but really have too much potassium) so they stop eating salt. This is especially so in the winter when they need it most. Force-feeding salt is a viable solution particularly in pregnant mares. This should be in addition to making it readily available free choice. (Always be sure to put any salt product near readily available water). One further point is that fescue alone is usually blamed for abortions in mares when it is actually the fungus like organisms on the fescue that cause the problems. BUT again it is elevated potassium that generally makes these organisms more deadly! The bottom line here is that less fertilizer is better and fescue should be avoided for pregnant mares. It would also seem obvious to me to avoid hay that has been grown on heavily fertilized fields - especially for pregnant mares. Now the big question is how can I make my field better if I can’t fertilize? The answer is to avoid the typical types of fertilizers - those that are salt based. Salt fertilizers are destroying our environment as well as our soils. Year after year of fertilizer use kills beneficial earthworms that oxygenate the soil with their tunnels. Lack of oxygen kills the soil just like it would us. Fortunately, there are “time tested” ways to fertilize that are often even more economical and certainly more beneficial. Unfortunately because of all the “politics” involved, major universities seldom teach their use. One of the healthiest ways to make good pastures and again, often the most economical is to heavily lime your fields twice per year. Lime is Calcium Carbonate. Calcium keeps the soil basic rather than acid. Basic soil is healthy just as a more basic pH is healthier for people. Calcium in the form of lime is cheap and I promise if you have many weeds at all growing in your pasture, you need lime. Don’t expect immediate results however, because it take time for the lime to be absorbed and utilized. But it will help tremendously over time. 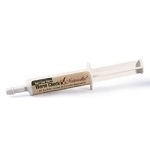 While your pastures are improving, it is important to supplement the diet. Most horses I have found, at least in the eastern US, are calcium deficient. Typically, soils in the western United States contain more calcium - which is why the buffalo once flourished there and not in the east. Tremendous calcium is needed for the buffalo’s huge bones. For many years now, ring neck pheasant have not grown in the southeaster United States either, simply because there is not enough calcium in the soil to support their egg shells. Most horses have plenty of phosphorus in their diets, so I don’t worry too much about balancing the calcium to phosphorous ratio. An exception would be older horses, which occasionally can use more phosphorus. The answer to perfect pastures is simple - do not use fertilizer and if you do, use liquid, non salt types, plenty of lime for the pasture and keep a bucket full of NATURAL salt and minerals readily available to your horses at all times! Consider the use of crude unrefined essential fatty acids because horses today just can’t get them naturally and because they are so important to overall health. One final suggestion: If your horse does not have access to grass, such as in the winter, or if the grass if poor, always supplement with Beta Carotene. Green grass generally provided plenty of Beta Carotene (vitamin A, by the way, is not enough) but hay provides hardly any. Beta Carotene is crucial for reproductive health, lactation, immune function and hundreds of other benefits. I believe it too, will be considered “essential” in the future. If you have any questions about the information shared above, please know that you can call 877.873.8838 or use the contact us page, or even use AskDrDan.com to submit your question. Thanks for reading today! Dr. Dan Moore is a practicing holistic veterinarian known as the Natural Horse Vet, Natural Pet Vet or simply Dr. Dan by most. 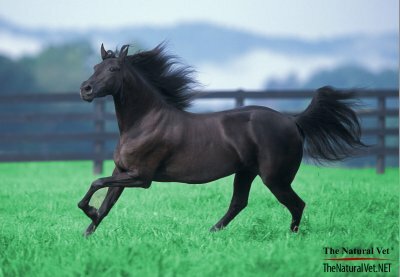 He has been featured on several media outlets, national publications and events throughout the country and ss founder of the Natural Vet Companies, Dr. Dan has formulated dozens of products for horses, pets and people with the personal mission to create natural solutions using natural alternatives that really work- and work for all!